The Twin Cities Assembly Plant was one of the principal economic engines of the East Metro for 86 years. 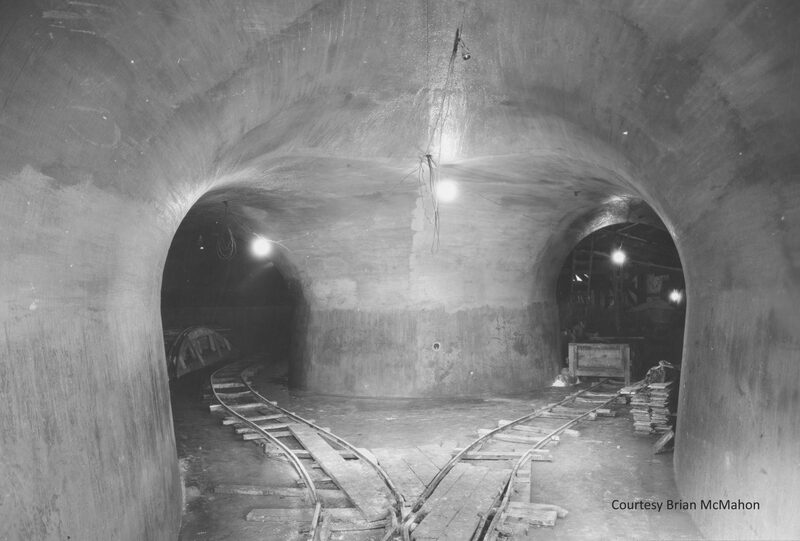 It was a catalyst for the development of the Highland Park neighborhood and the Ford Bridge. And it was an immense source of pride for the thousands of men and women who built cars, trucks and military vehicles in the capital city for four generations. The plant’s closure in December 2011 marked the end of an era for automotive production in Minnesota. 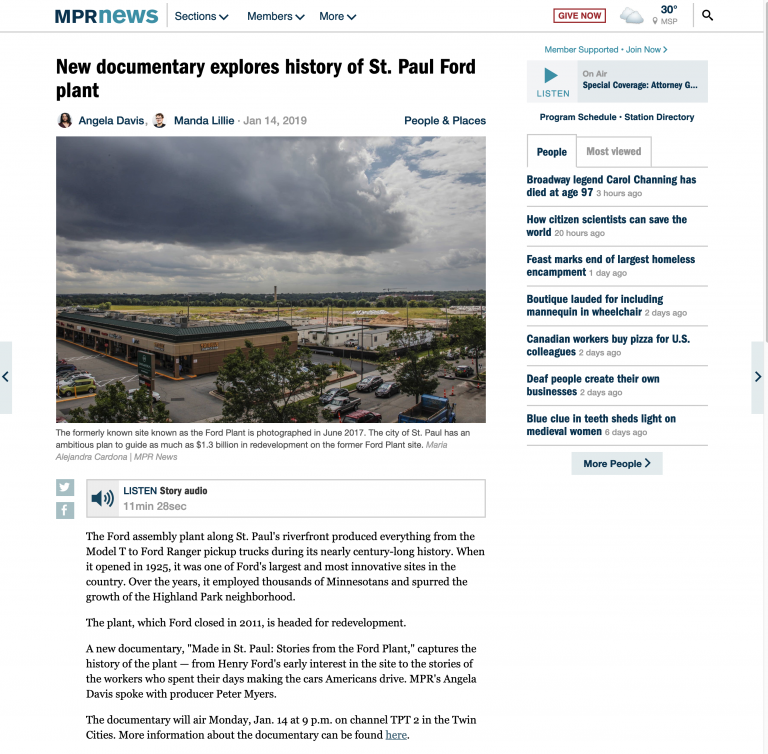 The plant may be gone, but its legacy lives on in this 2019 documentary film, “Made in St. Paul: Stories from the Ford plant.” Narrated by Cathy Wurzer, the film explores the colorful history of the plant as told by the people who worked there, from assembly line workers to skilled tradesmen and plant engineers. 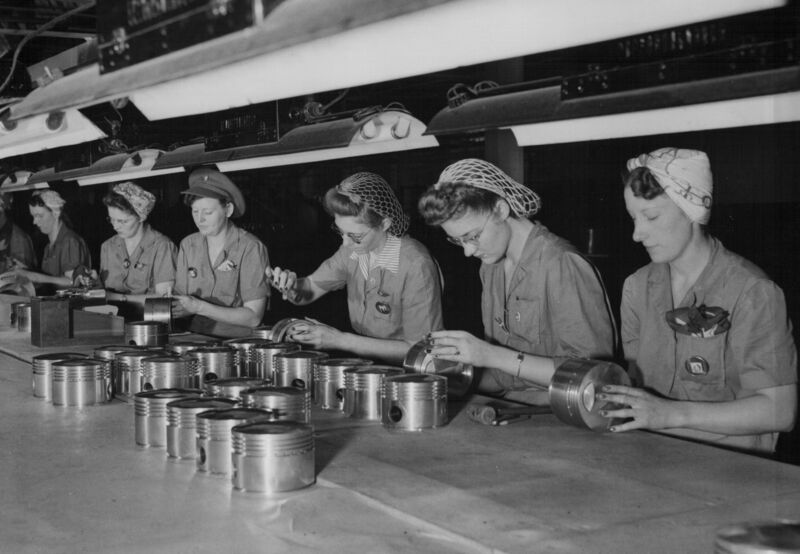 Their stories, combined with archival photographs and historical commentary, help to preserve and acknowledge the plant’s significant history as the community prepares for new development where Model T’s, Galaxies and Rangers were once produced. 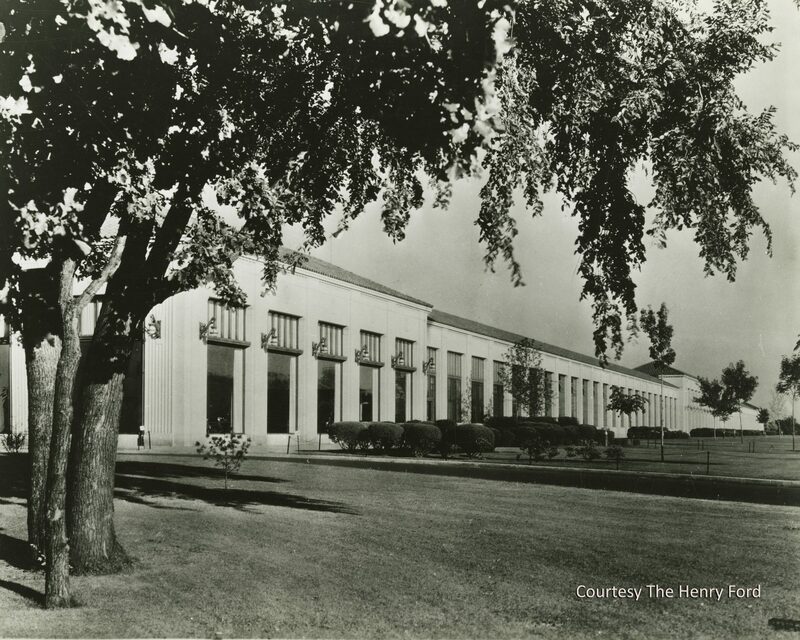 When the Twin Cities Assembly Plant opened in 1925, it was the largest of Ford’s branch plants outside of Detroit. 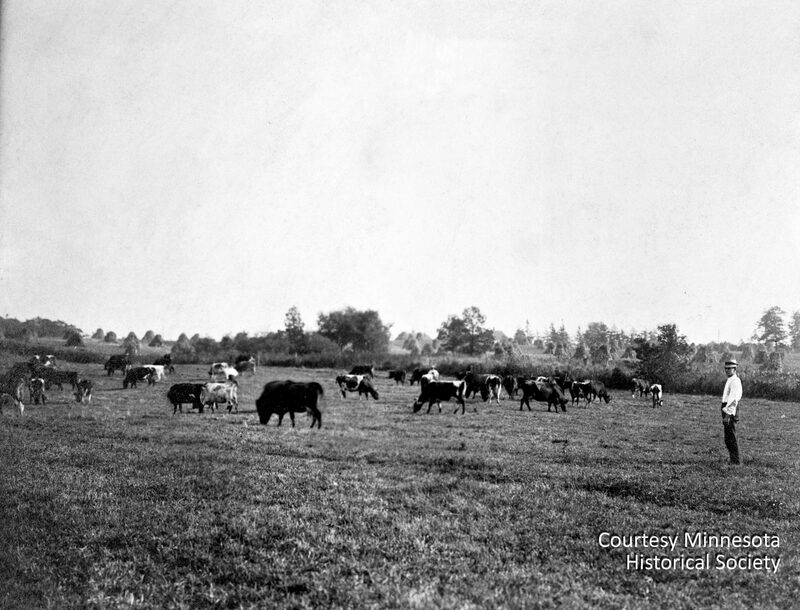 Henry Ford was personally involved in designing the building, siting it on a scenic national river in a part of the city that was largely undeveloped. The location offered everything Ford wanted: rail connections, river navigation, a hydroelectric plant to power the machinery, and silica sand that could be mined for glass manufacturing. 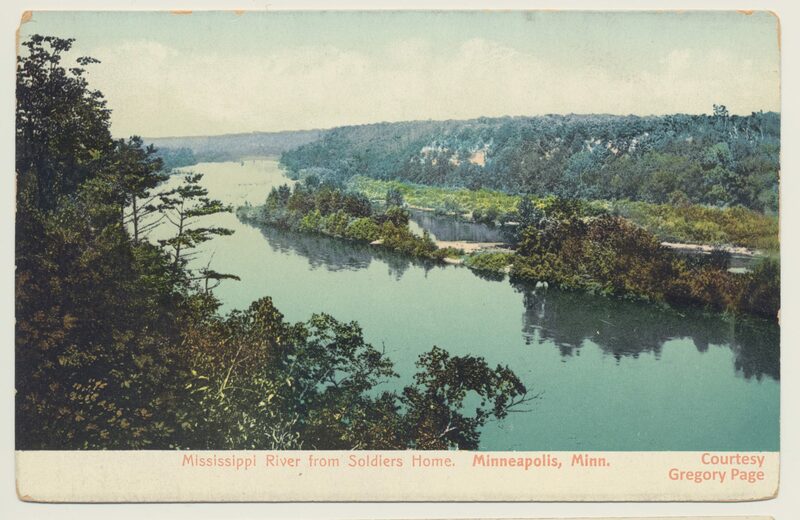 Ford was adamant that the plant be compatible with its beautiful natural environment, so he built it far back from the river bluffs and created a wide, green buffer zone between the plant and the river. The building, designed by noted architect Albert Kahn, was considered by many to be the most beautiful industrial plant in the world. 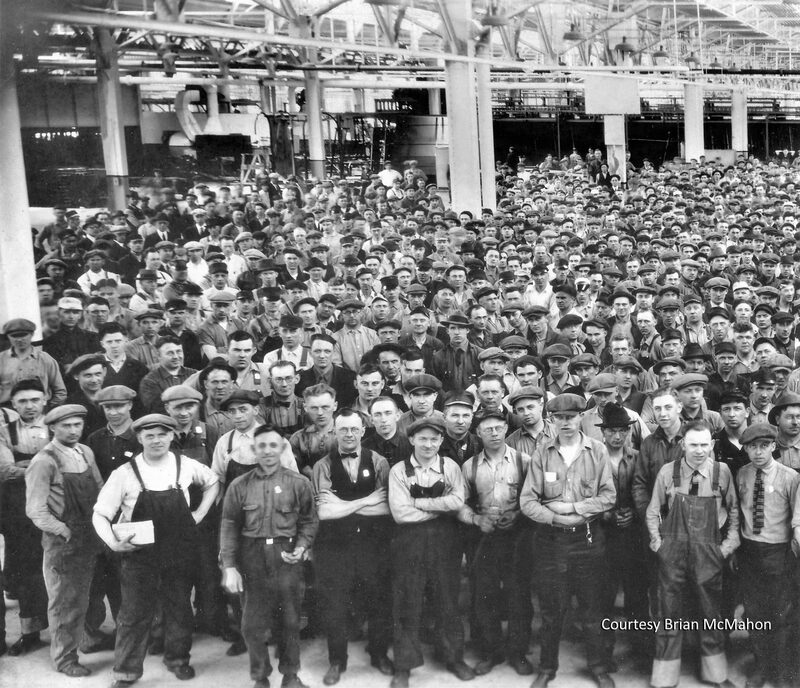 While the plant’s engineering and architectural features were the big story in the 1920s, they were eventually overshadowed by other issues: the Great Depression; autoworkers’ struggle for humane working conditions and union representation; the impact of Japanese imports on the U.S. auto industry; the introduction of women and minorities into the workforce; and the integration of new technology. 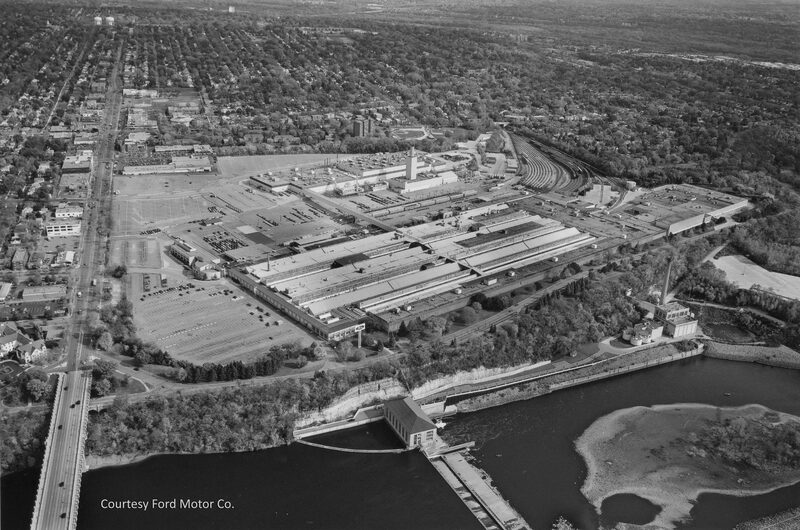 Despite the impact of strikes, economic upheaval and other challenges, the Twin Cities Assembly Plant was always ranked number one or two in quality among all of Ford’s domestic plants. Peter B. Myers, executive producer/writer, has conceived and produced two documentaries for TPT-Twin Cities PBS: the Emmy Award-winning Never Stop Singing, a celebration of Minnesota’s rich choral music legacy; and University Avenue: One street, a thousand dreams, which traces the evolution of this major artery from the 1880s to the present day. 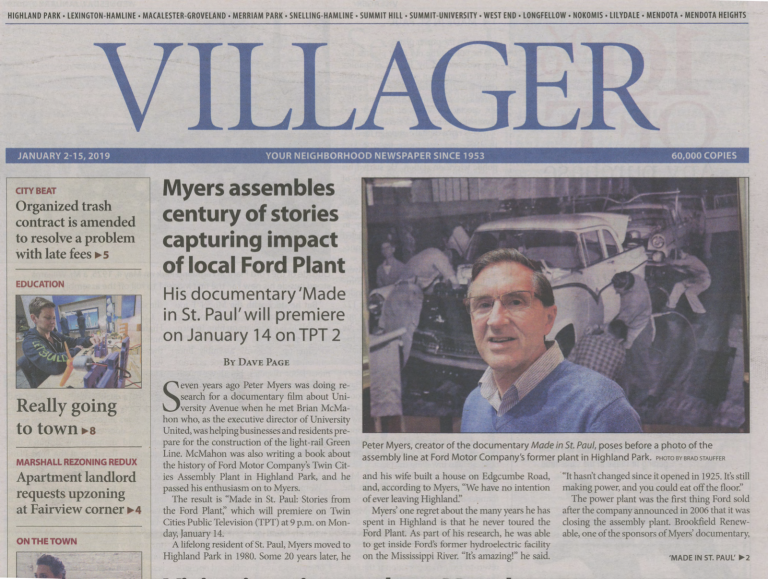 Myers was also executive producer for an earlier TPT film honoring the 100th anniversary of Landmark Center. His video work has supported many business, cultural and human services organizations including Twin Cities Habitat for Humanity, Ordway Center for the Performing Arts and Breakthrough Twin Cities. 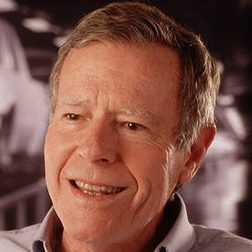 He has also managed major capital campaigns for TPT and the Ordway. Myers was formerly VP of communications at TPT where he directed corporate communications, on-air promotion and community outreach. A lifetime Twin Cities resident, he has served on numerous boards including Twin Cities Habitat for Humanity, Minnesota Landmarks, Minnesota Chorale, Saint Paul Chamber Orchestra, Saint Paul Neighborhood STAR, Westminster Town Hall Forum and The Schubert Club. He is also a former chair of the Minnesota Zoo board. Skip Davis, editor, is a staff editor at Twin Cities Public Television where he has worked on programs such as Almanac, MN Original and numerous national shows including the Luther College, St. Thomas University, Gustavus Adolphus College and St. Olaf College Christmas specials. He was editor for the national children’s science series DragonflyTV, principal editor for MakeTV and the Emmy Award-winning series MN Original. 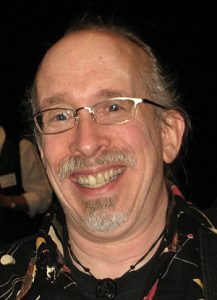 In 2010 he won a regional Emmy Award as producer/editor for Never Stop Singing and subsequently served as editor of University Avenue: One street, a thousand dreams. Cathy Wurzer, narrator, is the host of Morning Edition for MPR News. 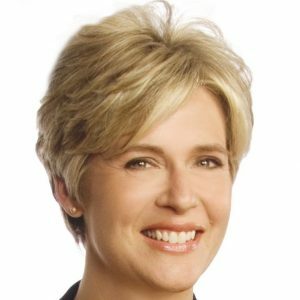 She is also the co-host of Almanac, a weekly public affairs program produced by Twin Cities Public Television for Minnesota's statewide public television network. Wurzer has won four Emmy Awards for her work on Almanac. Prior to her return to radio, she was an anchor and reporter for WCCO-TV, the CBS affiliate in Minneapolis. She has also been a talk show host for WCCO-AM radio, a producer for KMSP-TV, and political reporter for KSTP-AM radio. She holds degrees in broadcast journalism and urban studies from the University of Wisconsin-River Falls. 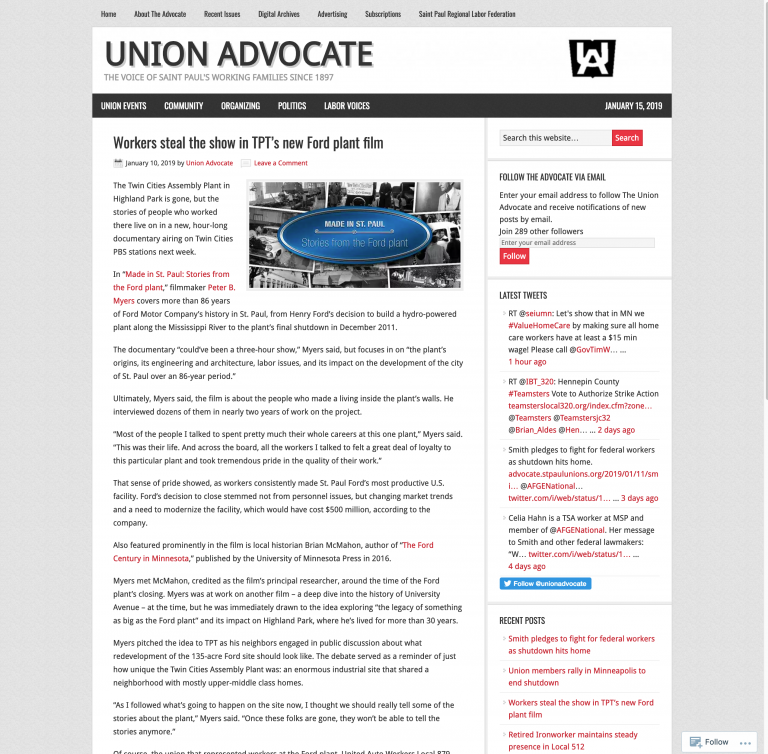 Wurzer was a trustee for the UW-River Falls Foundation and a member and past president of the Society for Professional Journalists Minnesota chapter. She is the author of Tales of the Road: Highway 61. 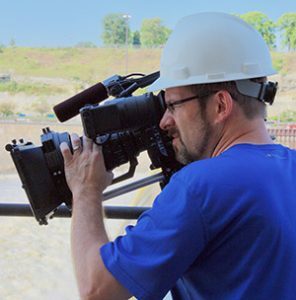 Matt Ehling, director of photography, served in that capacity for University Avenue: One street, a thousand dreams and Never Stop Singing, produced by Myers Communications for TPT. His films have appeared on PBS and at major festivals. Two of them, Urban Warrior and Security and the Constitution, garnered national recognition while sparking dialogue about issues of personal rights and national security. Ehling won the grand prize in the Minnesota Historical Society’s Greatest Generation documentary film contest for his film about his grandfather and World War II. He also produced a segment of TPT’s medical series Honoring Choices, which was awarded the 2012 "Making a Difference" Upper Midwest Regional Emmy Award. 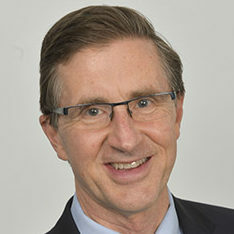 Brian McMahon, research consultant, has lectured and written extensively on industry, urban history and architecture. His book, The Ford Century in Minnesota, was recently published by the University of Minnesota Press and is based on extensive interviews and research conducted over the past two decades. 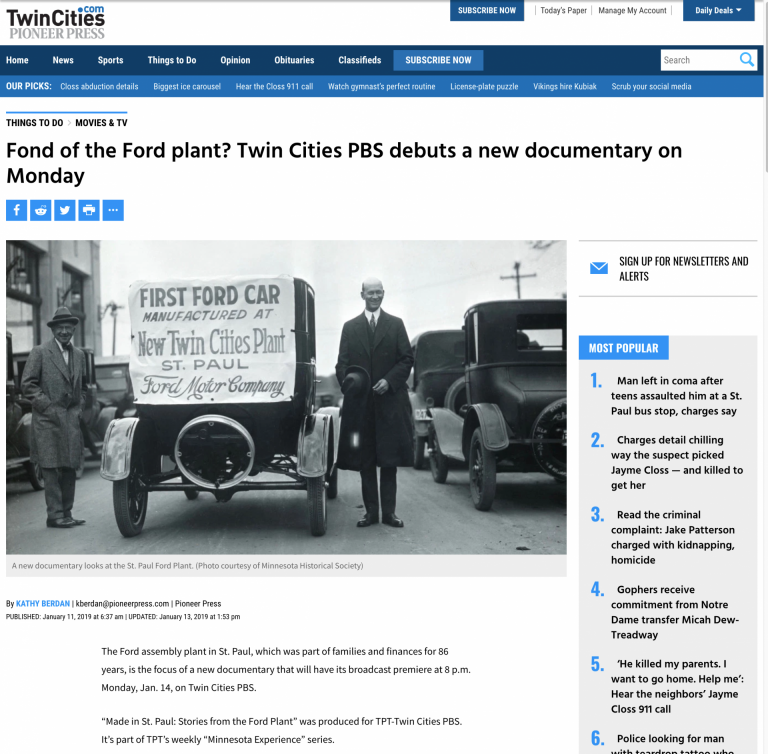 Beginning with Henry Ford’s early ventures in Minnesota, it chronicles the evolution of the Twin Cities Assembly Plant from its opening in 1925 through the Great Depression, World War II and the tumultuous changes of the late 20th century including the labor movement, women joining the workforce, globalization, outsourcing, the closing of the plant, and more. 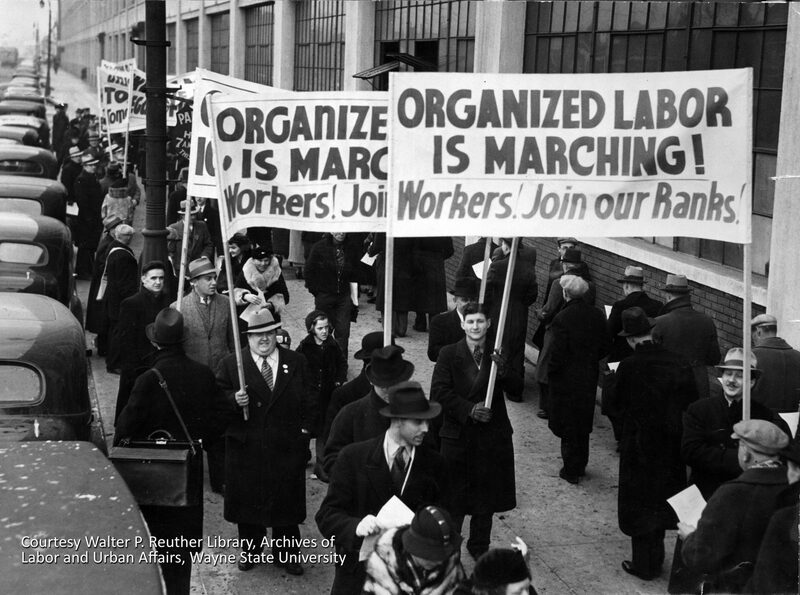 He has collected hundreds of historic photographs and documents, some of which have been incorporated into this documentary.